Lowen Ashleigh is a struggling writer on the brink of financial ruin. When Jeremy Crawford, husband of bestselling author Verity Crawford, asks Lowen to complete the remaining books in a contract his permanently injured wife is unable to fulfill, Lowen has no choice but to accept. Lowen arrives at the Crawford home with the intention of only staying one or two nights-long enough to sort through Verity's chaotic home office to collect all the notes and outlines she'll need to start writing the first novel. But the more time Lowen spends with Jeremy Crawford, the less of a hurry she is in to leave. While there, Lowen uncovers a hidden manuscript. An autobiography containing chilling admissions Verity planned to take to her grave, including the truth behind the events that turned their lives upside down. A truth that, if revealed to Jeremy, would further devastate the already grieving father. Lowen decides to keep the manuscript a secret, allowing Jeremy to continue to believe Verity is merely an innocent, unfortunate victim of circumstance. But as Lowen's feelings for the devoted father and husband deepen, she wonders if keeping Jeremy in the dark is in her own best interest. After all, if Jeremy were to read his wife's autobiography, the disturbing truth would make it impossible for him to continue to love her. 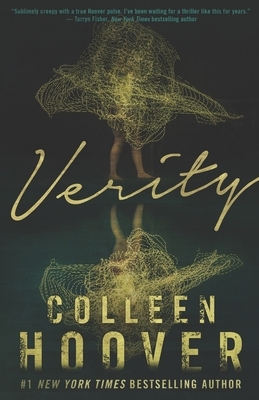 A chilling romantic thriller from #1 New York Times bestselling author Colleen Hoover.